This afternoon, Kasey and I spoke to a public relations class at Western Michigan University, our alma mater. The professor asked us to talk about public relations in nonprofit organizations, and specifically, public relations at United Ways. We both have a background in public relations, and a ton of experience with United Ways, so we were excited to share our knowledge with future public relations professionals. When preparing our talk, we quickly came to this conclusion: public relations at United Ways is one tough job. This is not to say that public relations is ever easy, but that public relations at United Ways is really difficult. Three of the challenges that make public relations at United Ways more difficult than at other nonprofit organizations include: many stakeholders, finding the story, and limited resources. Compared to most nonprofit organizations, there are significantly more “publics” who need public relations at United Ways, such as: donors, community, board, partner agencies, workplaces, and even clients for United Ways that provide direct services. Each of these publics has a unique relationship with United Way, making it impossible to have a one-size-fits-all public relations approach. Maintaining public relations with this many publics is one tough job. 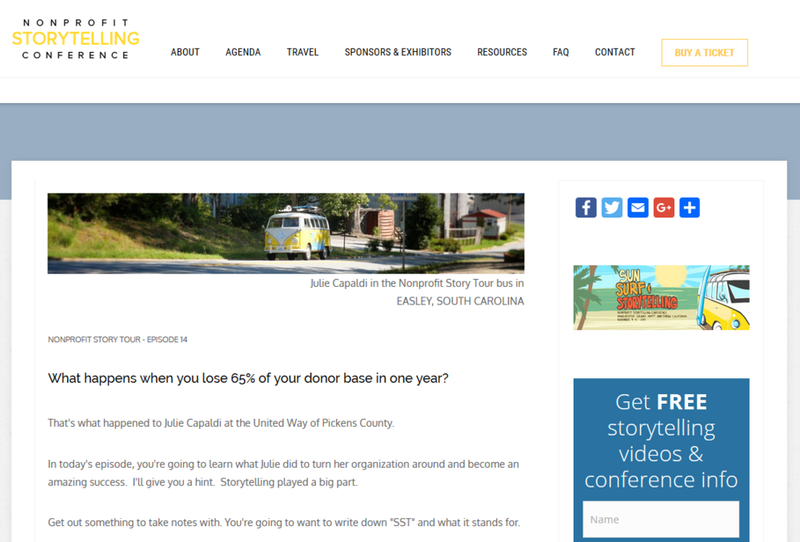 Most nonprofit organizations have a straightforward story to tell, compared to a United Way. A United Way’s story is, at a minimum, complex and more often downright convoluted with a language all its own. For some United Ways, the story is not just a story of United Way, but a story of partner agencies and programs funded by United Way. All these stories make it incumbent on public relations to simplify, edit, filter, and distill in order to communicate the message effectively to all of the publics. Figuring out the public relations message for a United Way is one tough job. Finally, the budget and resources available for public relations at many United Ways is very limited. At smaller United Ways, public relations is just one of the many responsibilities of the executive director or president, which means there is limited time for public relations. Smaller and mid-size United Ways rarely have the budget to outsource public relations services. In fact, many United Ways with the resources to be able to hire someone dedicated to public relations are conflicted when it comes to spending money on anything other than funding programs. Limited time makes public relations one tough job. Combine more publics than you can shake a stick at, with a message that often requires a decoder ring, and just a couple of minutes at the end of the day to get the job done, and it is easy to see why public relations at a United Way is one tough job. Kasey and I pulled no punches when we explained the challenge of public relations at United Ways to the students. We made certain the students understood the need for public relations at United Ways, despite the challenges. And before we walked out of the lecture hall, we explained to the students how effective public relations at a United Way impacts lives and the community.